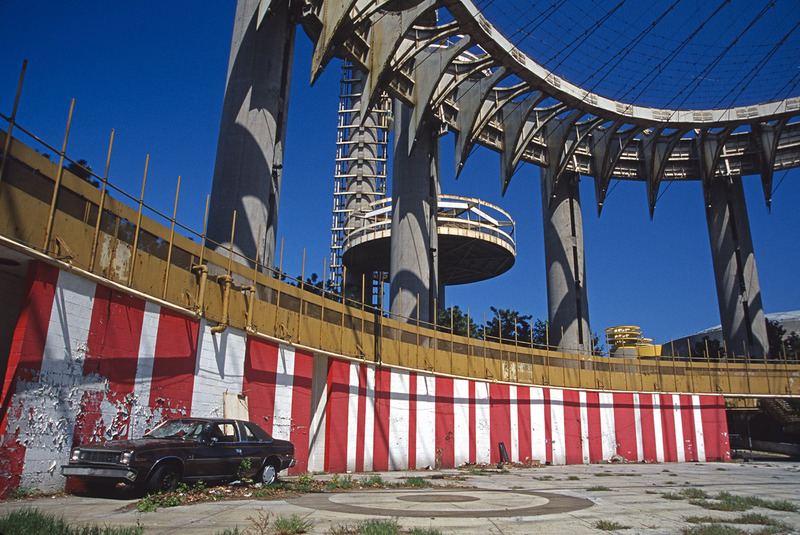 This exhibition is devoted exclusively to Philip Johnson’s New York State Pavilion and asks viewers to consider the importance of ruins in the modern age. 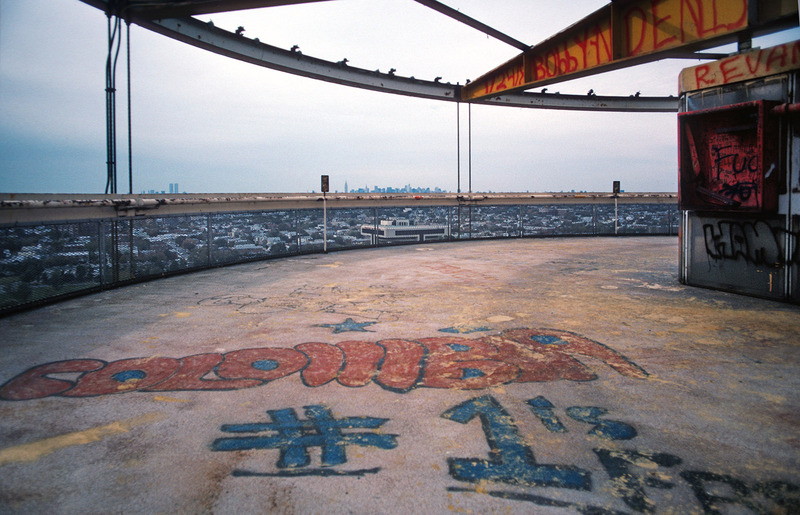 Archival images from Bill Cotter show the Pavilion at its height during the Fair; photographs by Phil Buehler, Marco Catini, and Robert Fein capture the beauty of the building in its ruined state. Also on view will be a temporary installation by Aaron Asis suggestive of the Pavilion’s iconic suspension-cable roof, and a painting by Eric Doeringer addressing Andy Warhol’s controversial installation for the Theaterama at the Fair, “13 Most Wanted Men.” Complementing these works will be ephemera loaned in part by The Museum of Interesting Things, and an audio clip of a 1999 interview with Philip Johnson on the fate of the Pavilion. The opening reception for this exhibition will be Saturday, October 1 at 7 PM. 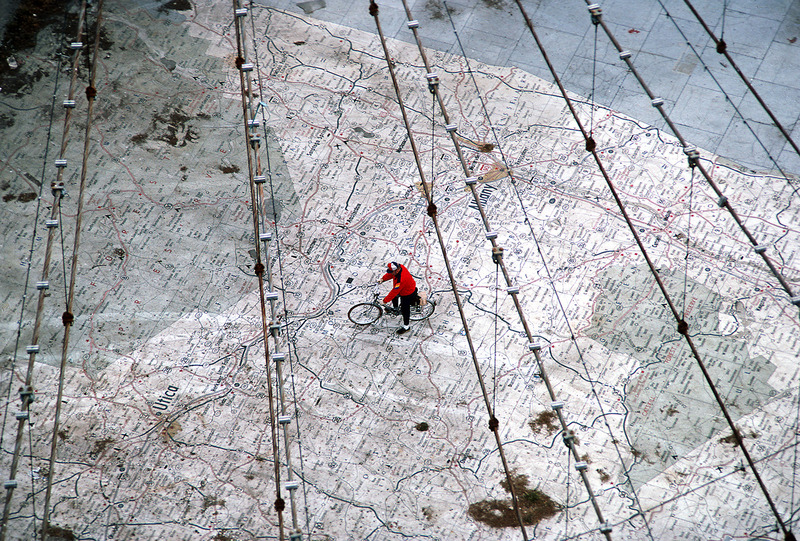 It will include a screening of the documentary Modern Ruin at 7:30 PM followed by a Q&A with its creator, Matthew Silva. Beverages available by suggested donation, with beer courtesy of Brooklyn Brewery. This exhibition was curated by Sarah Celentano, manager of The City Reliquary. 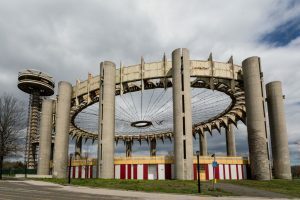 The New York State Pavilion in Flushing Meadows-Corona Parkis one of the few surviving structures built for the 1964 World’s Fair, the second held in Queens. 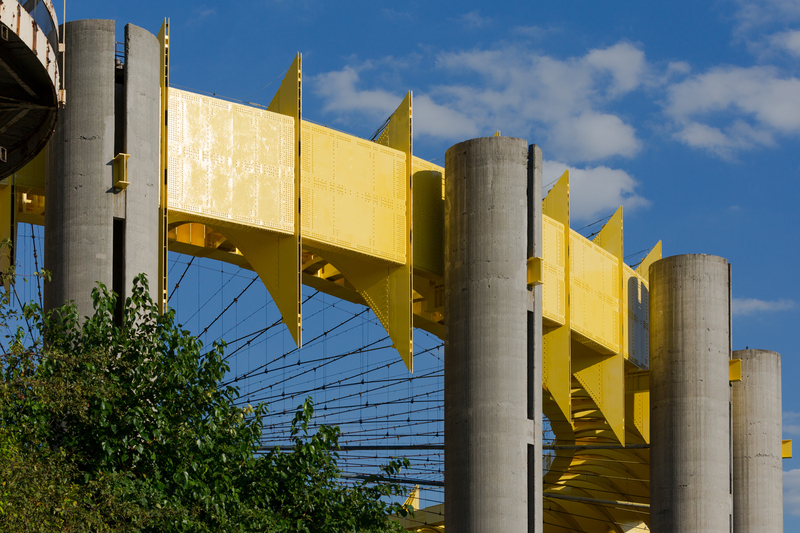 Designed by Philip Johnson, it housed numerous exhibitions celebrating New York industry and culture in the context of the theme, “Peace Through Understanding. 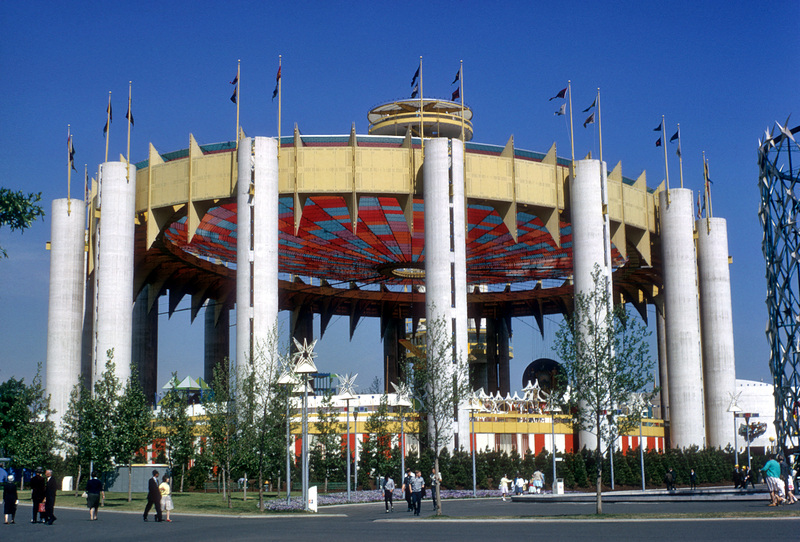 The Pavilion comprised the Tent of Tomorrow, the three Astro-View Towers, and the circular Theaterama. 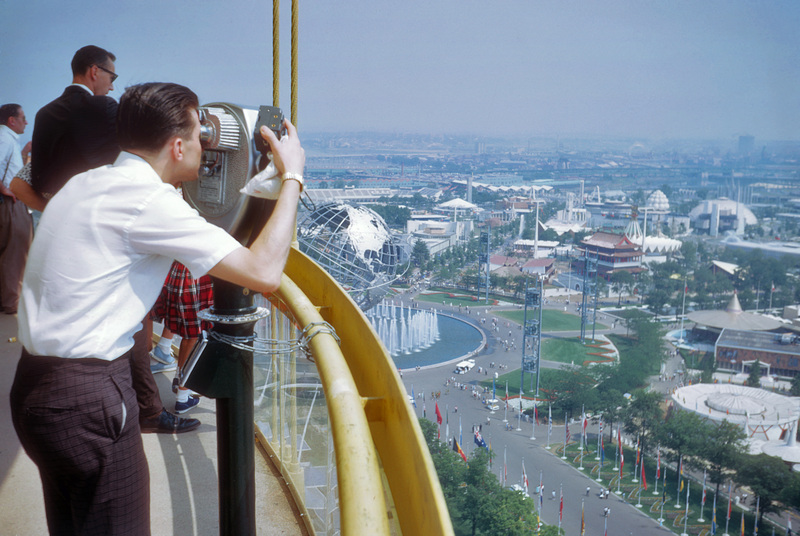 These futuristic structures embodied promises of progress and discovery in the era of the Space Race. The building exists today as a ruin for the modern age. Only the Theaterama remains in use. The Towers and the Tent, however, have long intrigued passersby and commuters on the Long Island Expressway. 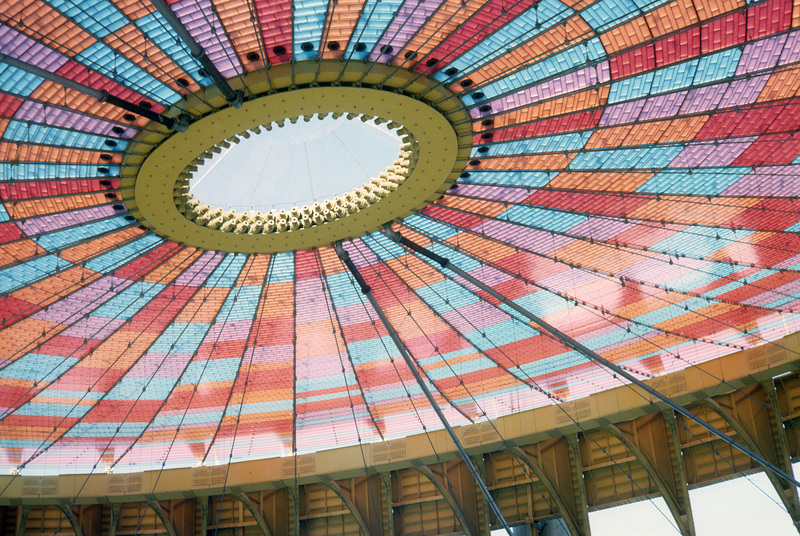 Stripped of its colors, the Pavilion took on a minimalist purity. 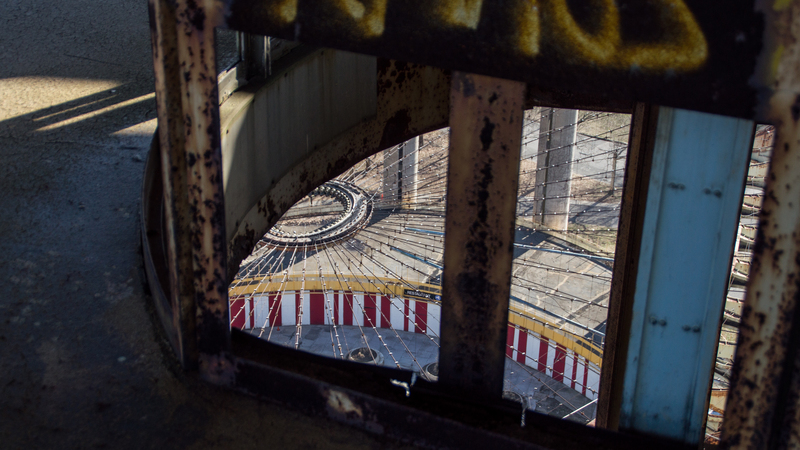 In its ruined and graffitied state, it served as a site for personal inspiration, contemplation, and collective memory. The Pavilion has reached another transformative moment: the walls and crown were freshly painted between 2009 and 2015. Plans are underway to repaint the Towers. 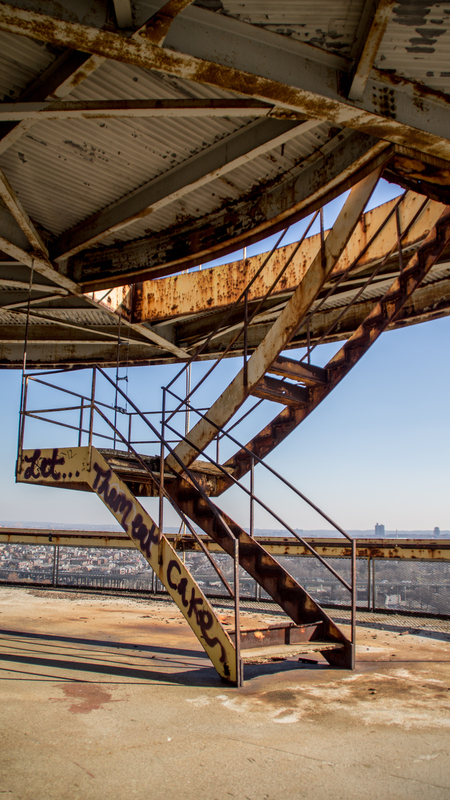 The modern ruin is gradually disappearing, yet the popularity of websites celebrating ruined or abandoned places, such as Untapped Cities and Atlas Obscura, argues for the important of ruins in the current cultural landscape.